This is how I have been doing the majority of my drawing. I use an A4 Daler Rowney hard-back sketchbook, a selection of graded pencils (mostly 3H, 2H, HB and 2B), a normal eraser and a kneadable putty eraser. In this picture, I have set up my camera and tripod behind the easel to take a timelapse sequence of the drawing. 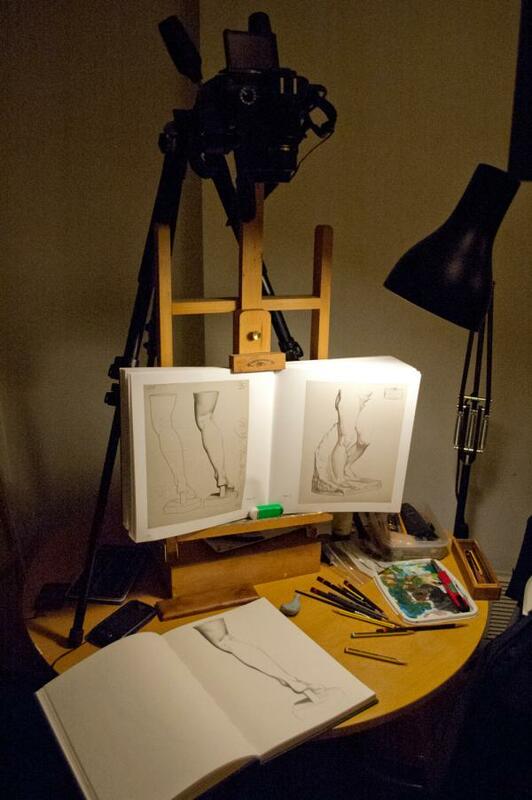 This image, Bargue drawing setup, by Sam Haskell is licensed under a Creative Commons Attribution-NonCommercial-ShareAlike license.